Every year smartphone manufactures come with awesome features and improvements. 18:9 aspect ratio display have been very well received by smartphone enthusiast. Unfortunately, most models that incorporate this tall and narrow format are high-end devices which cost a lot of money. 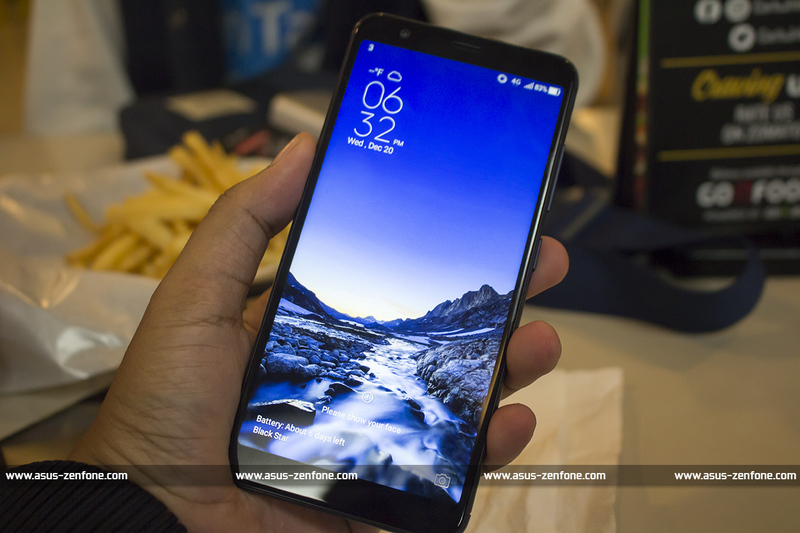 ASUS also introduced their new 18:9 display smartphone ASUS ZenFone Max Plus M1. 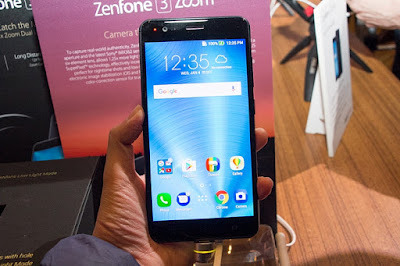 Although it closely similar to ZenFone 4 Max or Pegasus 4s (Chinese Market) a few month ago. 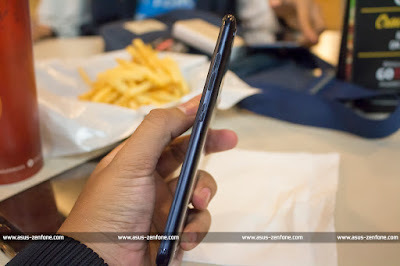 Luckily Zenfoneblog had a hands on opportunity, here are our initial thoughts about this device. 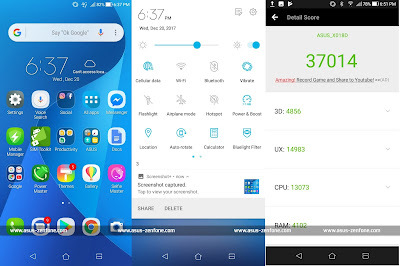 ZenFone Max Plus M1 using 5.7 inch HD+ display with a resolution 720 x 1440 which translate to 281 ppi. The screen looks good and the viewing angle also good enough for non FullHD display. The color reproduction also good in my eye. The display also covered with 2.5D curved glass that make the display feels great in hand. Also in the front there are 16 Megapixels camera with F2.0 aperture, ear speaker and light sensor. 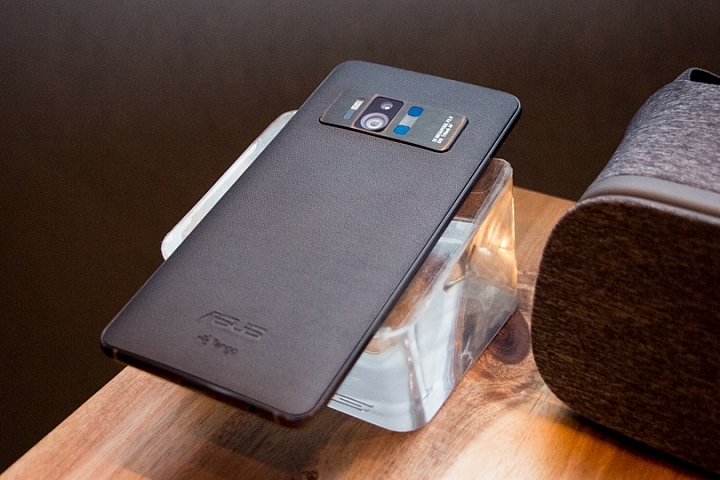 No button on the front so ASUS can put 5.7 inch display on 6 inch tall device. 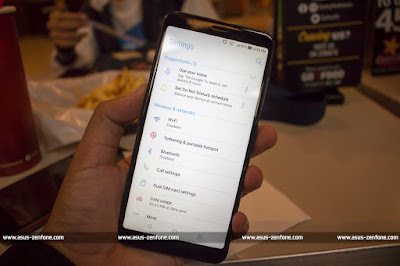 On the right side we have power button and volume rockers, while on the left there is dual-SIM and SDCard, ZenFone Max Plus M1 using non hybrid so we can use dual SIM without sacrificing SDCard slot. On the back of the phone there are two camera, the first one is 16 Megapixels telephoto lens with F2.0 aperture and the second camera is 8MP 120° wide-angle lens. At the back there are LED flash and Fingerprint scanner for unlock device. 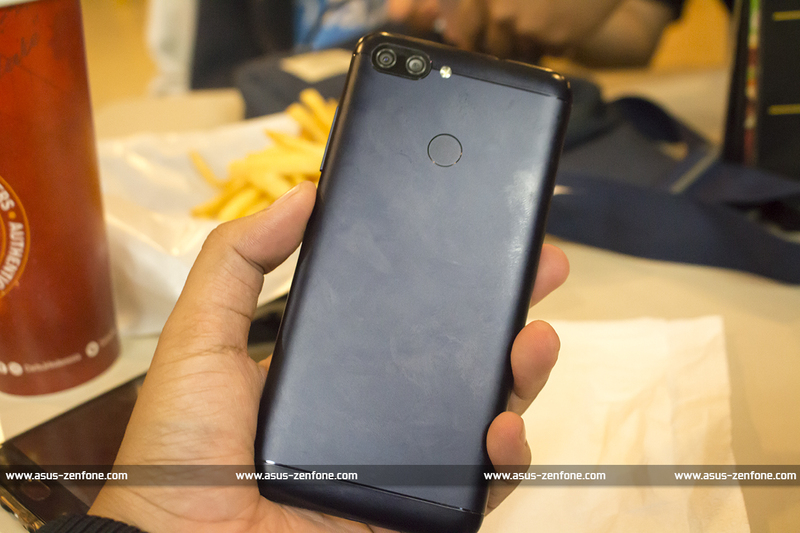 Up top there is 3.5mm headphone jack and at the bottom of ZenFone Max Plus there are microUSB port, mic, and mono speaker. The phone has metallic finish and unibody design, it's look premium but quite slippery in hands due to its smooth metallic finish. Also the back of the phone is fingerprint magnet and easy to get dirt. 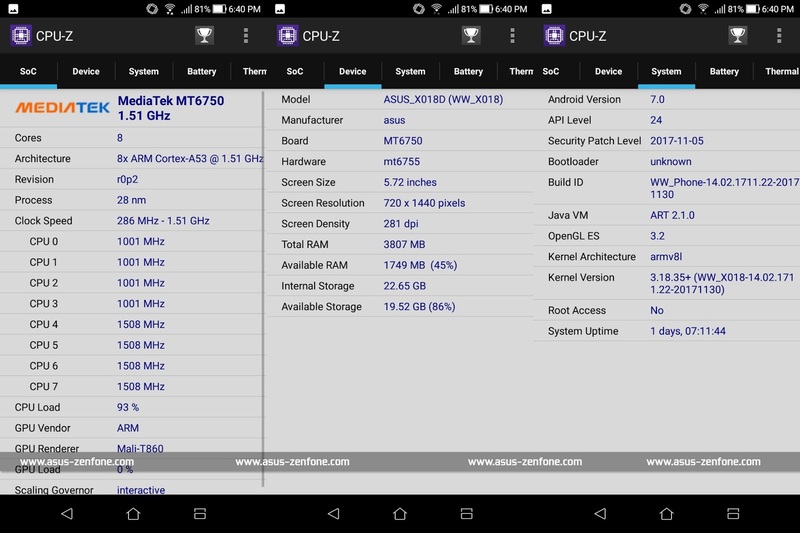 ZenFone Max Plus M1 powered with Octa-Core processor Mediatek MT6750, 4GB of RAM and 32GB internal storage. Scrolling through menu and opening apps was fast, smooth, and responsive. 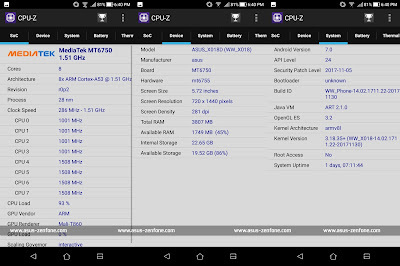 ZenFone Max Plus M1 use ZenUI 4.0 on top of Android 7.0 Nougat. 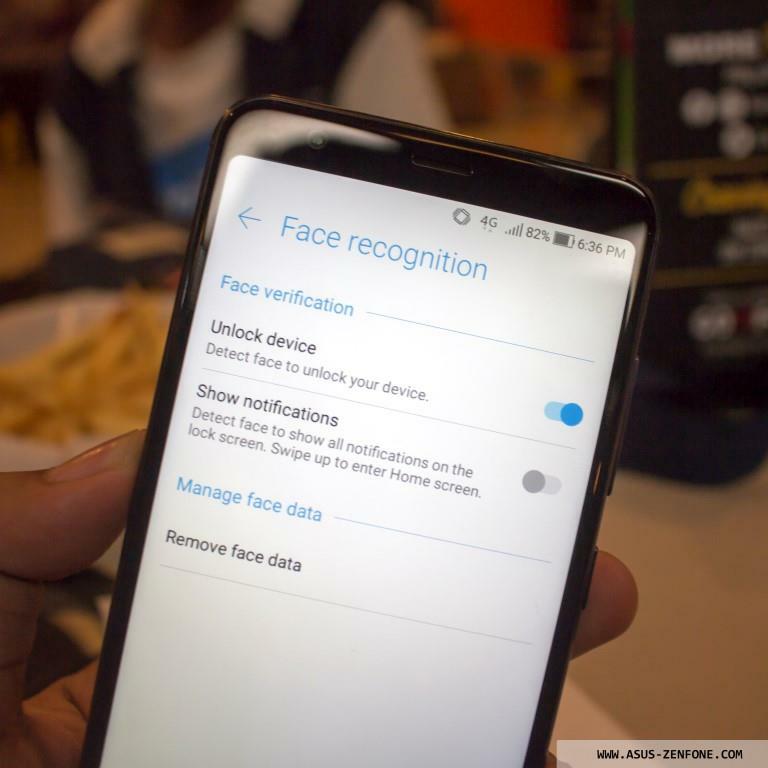 One of the new feature on ZenFone Max Plus M1 is Face unlock. 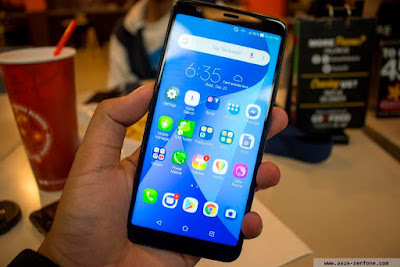 ZenFone Max Plus M1 capable to unlock device using your face, it's not much secure like fingerprint scanner but it's nice to have one. 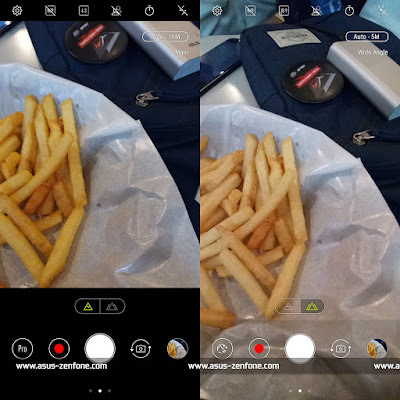 ZenFone Max Plus M1 rear camera using 2 lens with different mode, first is telephoto lens and the second camera is wide-angle lens. ZenFone Max Plus M1 camera PixelMaster modes include Auto (with low light and HDR features), Beauty, Pro, Super Resolution (64 megapixels), GIF Animation, Panorama, Time Lapse (with power saving), 9 various filters. Overall ZenFone Max Plus M1 is quite good when it come for looks and battery, especially because it's budget 18:9 display smartphone. For around 220 US$ you get big display and big battery in compact chassis. The performance for daily use also great. The only downside is the quality of camera is not decent compare to previous generation like ZenFone 3, but you get another wide-angle lens for more creativity to take picture.